Dislikes- being left on his own. 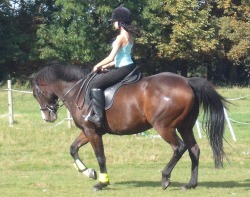 Apollo had been sold to a beginner rider who was unable to cope with him. When we went to see him he was badly behaved and only went backwards when ridden and threatened to rear. He had to be totally reschooled as he was ewe necked and very disobedient. Apollo currently competes in dressage walk and trot tests, clear round jumping and is schooling at cross county. his canter work needs more time as he is currently rushing and on the wrong leg. 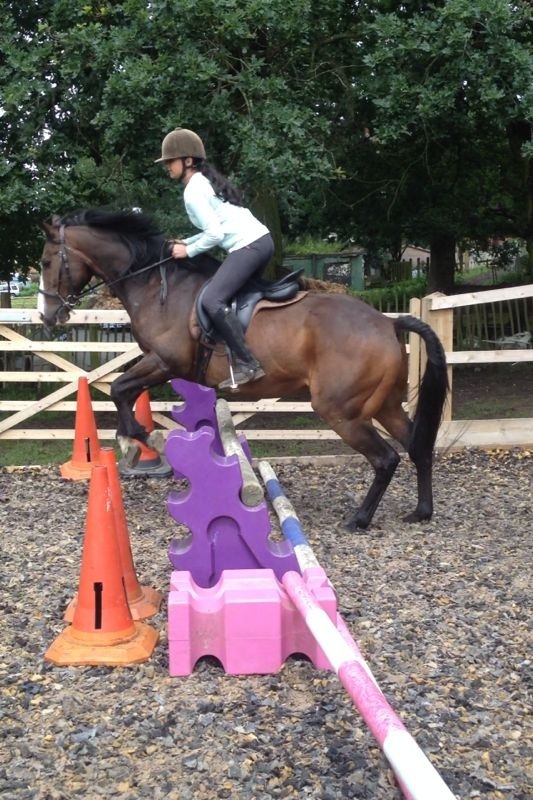 We hope to continue competing Apollo and he is becoming a good schoolmaster for our teenage riders and NVQ students. His schooling work will continue and we hope he will continue his remarkable progress. After a summer off work on a fattening holiday Apollo came back nicely rested and has been working well with all different types of riders and in different disciplines. He is well behaved and is very popular at the stables.